On the album, the song is in A which and is suitable for a male lead. 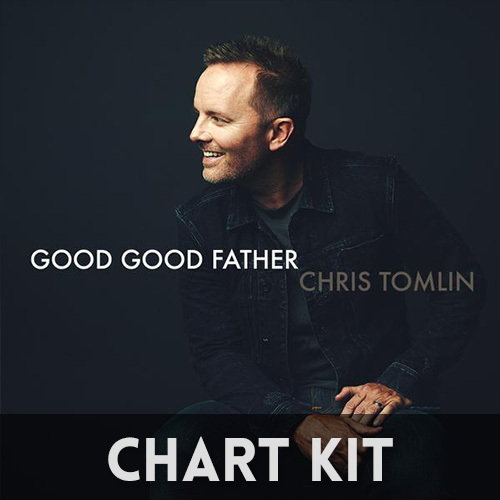 If you have a lower male voice, try it in G or F. For a female voice, try C, D, or E.
Our Good Good Father (Chris Tomlin arrangement) Chord Chart kit includes both Nashville charts and lyric charts in various keys. Your download will be in the form of a .zip file. Extract the file and you will find two folders, ”Lyric Charts and Nashville Charts”.